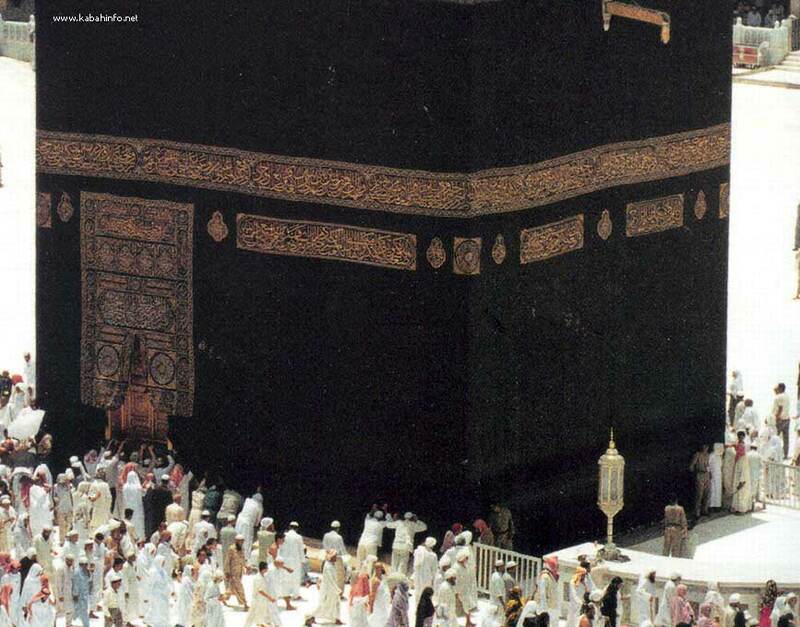 The Yemeni Corner lies in the south-western part of the Holy Ka bah. It is the corner opposite the Black Stone at the other end of the southern wall. It has been called the Yemeni corner because it faces Yemen. It is touched with the hand, not kissed, in the tradition of the Prophet (blessings and peace be upon him). One of its virtues is that it was built on the first foundations of the House raised by Abraham and Ismail (peace be upon them). It was reported that the Prophet (blessings and peace be upon him) said, "Touching the Black Stone and the Yemeni Corner completely wipes out sins." 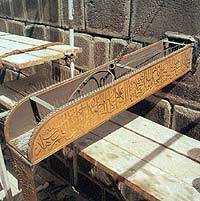 The Quraish were the first to fix a waterspout in the Holy Ka'bah when they rebuilt it thirty-five years after the birth of Prophet Muhammad (blessings and peace be upon him). 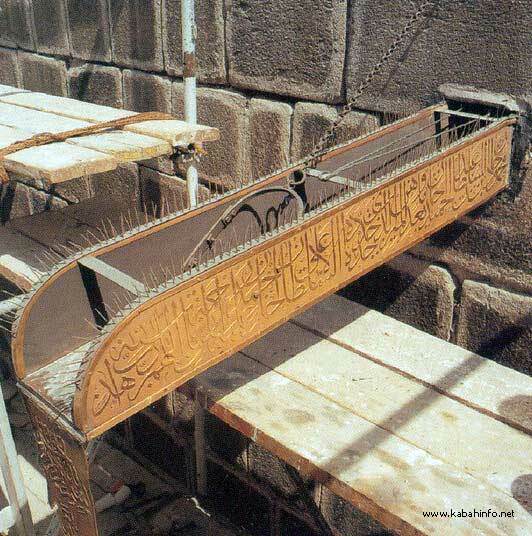 The Holy Ka'bah was without a ceiling as previously mentioned, but when Abdullah Ibn AI-Zubair (may Allah be pleased with them) reconstructed it, he fixed a waterspout that poured into Hijir Ismail as the Quraish (lid. AI-I-htjjaj Ibn Yusuf demolished what Abdullah Ibn AI-Zubair (may Allah be pleased with them) added to the Quraish construction on the foundations of Abraham (peace be upon him). He too fixed the waterspout towards the north where it poured into Hip Ismail (peace be upon him). AI-Azrayi stated that the waterspout was four cubits with a height of eight fingers and it was coated in gold plate. 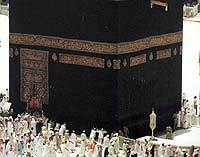 Al-Waleed Ibn Abdul Malik added a waterspout of gold, but it was changed for two reasons: The first was that when it was damaged it was replaced by a new one, the second was that some kings and wealthy people donated waterspouts to the Holy Ka'bah, thus, the old ones were often replaced by new ones. The present waterspout was made by Al-Sultan Abdul Majeed Khan, the son of AI-Sultan Mahmoud Khan, in Constantinople, and it was brought and installed in 1276 H. It was gold plated and some minor repairs were made to the upper nails that prevented the pigeons from perching on it. This took place when King Saud (may his soul rest in peace) renovated the roof of the Holy Ka'bah.